Based on public data, interviews with veteran students and a nationwide survey of colleges, the Military Friendly Schools list is a valuable annual snapshot of higher-education accessibility, opportunity and affordability for U.S. military veterans and their families. While vets can access a wide range of government education benefits, it can be confusing to negotiate those benefits and get the best value. Attending one of these Military Friendly Schools can help—as can these tuition assistance options for veterans, spouses and dependents. The Post-9/11 GI Bill is the centerpiece of military education benefits. Managed by the VA, GI Bill benefits cover a wide range of education expenses, from tuition to books to housing and even relocation. These benefits grow in value (and become more flexible and transferable) as service time increases; they cover up to 36 months of schooling, and can be used up to 15 years after separation from the service. Tuition assistance funds are no-strings-attached and generally paid directly to the college or university; Military.com specifies that “TA is not a loan; it should be viewed as money you have earned just like your base pay.” For active-duty members of the Army, Navy, Air Force and Marines, tuition assistance covers $250 per semester credit hour, up to $4,500 per year. Air Force and Army reservists are entitled to the same benefit, as are Navy Reservists and Army National Guard members on active duty status. Active duty and reserve Coast Guard members receive the same $250/semester hour, but with a lower annual cap. While Tuition Assistance and GI Bill benefits are generous, they stretch farther and make a bigger impact if used in conjunction with each other. The Tuition Top-Up Program allows GI Bill-eligible service members to supplement Tuition Assistance benefits with GI Bill funding: costs that aren’t fully covered by TA can be paid out of GI Bill benefits instead. Your best course of action depends on your age, your education goals and your post-service plans—but between Tuition Assistance, Top-Up and the GI Bill, you can make the most out of military education benefits. Scholarship America and our partners at Wells Fargo appeared on the Lifetime series Military Makeover in 2017 awarding a $10,000 scholarship to a retired Marine pursuing a master’s degree in counseling—and raising awareness of the need and availability of scholarships for current and former service members. In spite of the benefits available through Tuition Assistance and the GI Bill, paying for college can still be a struggle. This is especially true for veterans trying to balance family, work and school obligations, and for military spouses attempting to earn a degree. If military tuition assistance and GI Bill funding does fall short, institutional and private scholarships can help pick up the slack. The scholarship awarded on Military Makeover came from the Wells Fargo Veterans’ Scholarship Program, managed by Scholarship America. This program (and its companion, the Wells Fargo Veterans’ Emergency Assistance Fund) is a long-term initiative to help veterans and their families pursue and complete higher education, and it’s one of many programs available for those who have served. To learn about many more such opportunities, consult resources like the VA’s Transition Assistance Program and the nationwide nonprofit Student Veterans of America. 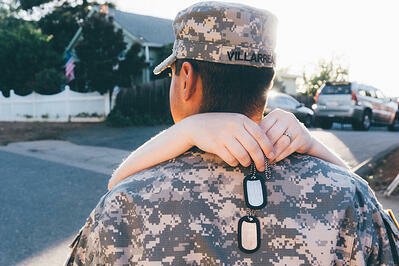 Scholarships can also help military spouses supplement transferred GI Bill benefits. The National Military Family Association is an excellent place to start. Their $1,000 Military Spouse Scholarships have a rolling application deadline, so busy spouses can apply whenever the time is right. The site also features military-family-specific opportunities from traditional and online colleges, helping combine accredited learning with the flexibility that families need. Beyond scholarships and government aid, private-sector help for service members, veterans and their families can be found in all sorts of places. 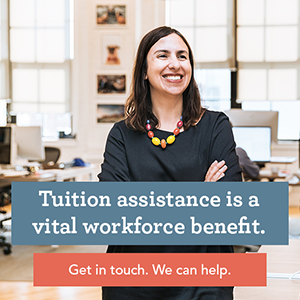 If you’re balancing work and school, your employer may also offer tuition assistance; your military experience can also make you stand out as you pursue generally available scholarships. Education funding is a powerful benefit for military members and vets, and by combining scholarships, tuition assistance and the GI Bill, you can make the most of it.